Pro-Brexit minister Dominic Raab was on Monday appointed the new Brexit secretary after David Davis resigned from the post citing differences with Prime Minister Theresa May over the terms on which the country will leave the EU. Raab, a respected lawyer, is known to be a staunch Brexit supporter and has experience as a junior minister in the Housing and Justice Ministries, the BBC reported. He will now take over day-to-day negotiations with the EU’s Michel Barnier. Davis resigned from the UK government’s Department for Exiting the EU late Sunday, two days after the government of May agreed on a plan for post-Brexit relations with the EU at Chequers, a country estate used by Number 10 Downing Street. He said May had “given away too much too easily” and that he could not remain in his post because he no longer believed in the plan for Britain’s future relations with the EU which was earlier backed by the Cabinet. 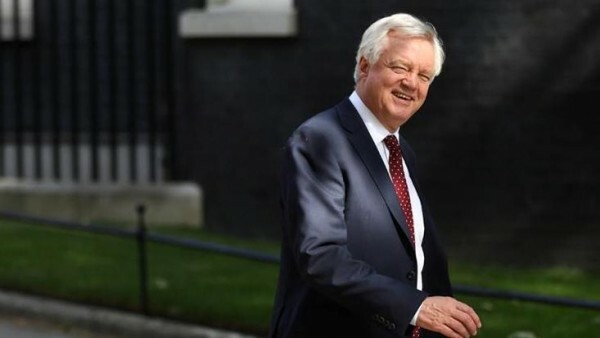 “As I said at Cabinet, the ‘common rule book’ policy hands control of large swathes of our economy to the EU and is certainly not returning control of our laws in any real sense,” Davis said in his resignation letter. He said he hoped his resignation would make it easier for the UK to resist EU attempts to extract further concessions, but he insisted he was not seeking to undermine or challenge the Prime Minister. “The general direction of policy will leave us at best a weak negotiating position and possibly an inescapable one,” Davis said. The UK is due to leave the EU on March 29, 2019, but the two sides have yet to agree how trade will work between the UK and the EU afterwards. May’s Conservative Party only has a majority in Parliament with the support in key votes of the 10 MPs from Northern Ireland’s Democratic Unionist Party, so any split raises questions about whether her plan could survive a Commons vote — and has also led to renewed questions about whether she will face a challenge to her position, reports say. The European Commission declined to comment on the change of personnel. Conservative MPs welcomed the appointment of Raab, one describing him as a “highly capable” figure with a clear attention to detail. But Labour said a new man fronting the negotiations “changed nothing”.